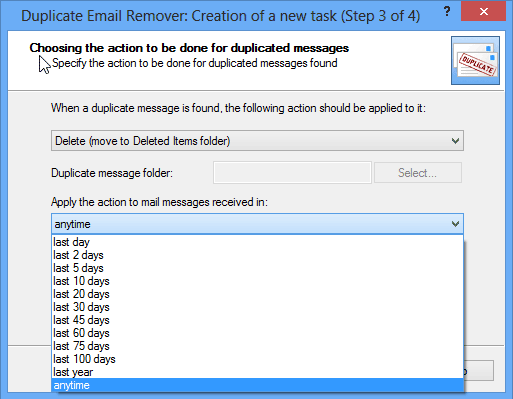 If you use an e-mail client, even an efficient one like Microsoft Office Outlook, you may meet with an annoying issue with dozens, hundreds, and even thousands of duplicate emails. 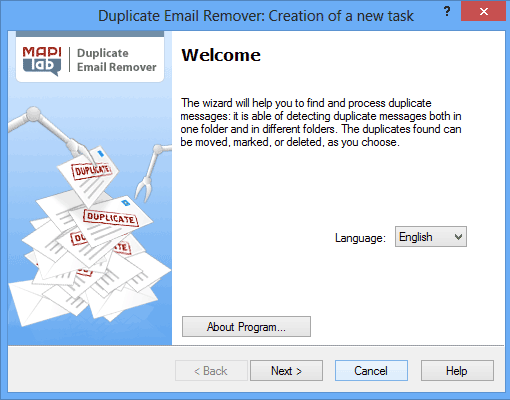 There are a lot of possible reasons for duplicate emails to appear in Outlook: mail server errors, issues with synchronization with the server, downloading old mail to the new version of Microsoft Office Outlook; it is also possible that Outlook duplicates emails because of its own rules, or even your antivirus tool may duplicate emails. 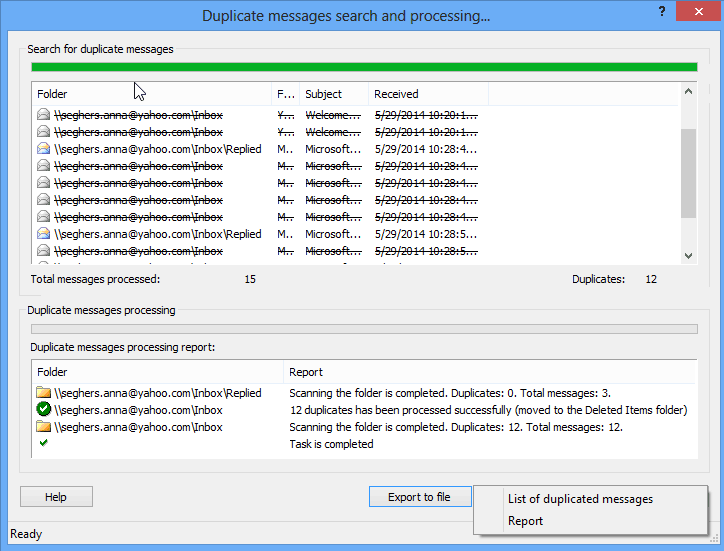 In the next step, you can select the processing mode: if all your duplicate messages appear in a single folder, e.g. 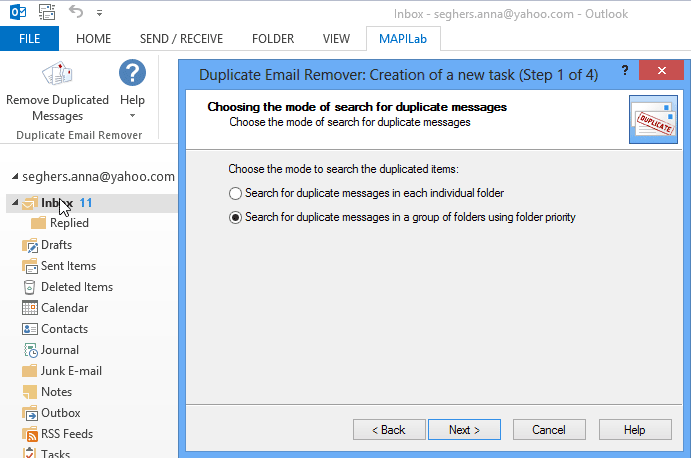 in Inbox, you can keep “Search for duplicate messages in each individual folder”. We select “Delete (move to Deleted Items folder)” and “Anytime”. 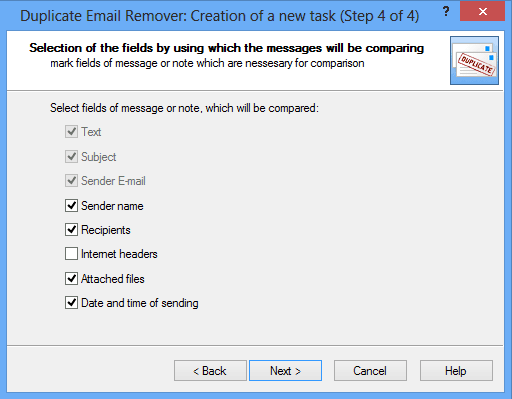 Step 4: Selecting criteria for message comparison. We know that our duplicated messages are identical, the same mail was downloaded from the mail server – so, we know that only server parameters could differ in our duplicates, and therefore disable (un-check) “Internet headers”. In most cases, this is the only difference among duplicates downloaded from the server several times. 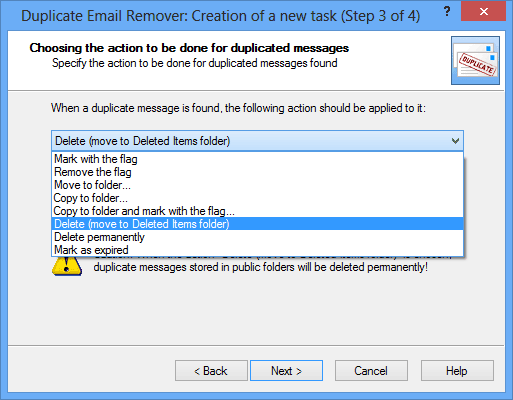 But sometimes messages which we consider duplicates may have different sender names, or date/time, or also may have additional files attached by the mail server – so you may also need to disable other fields to let the programme find your duplicates. Please note: three criteria in this list are critical: “Text”, “Subject” and “Sender E-Mail”, they are the fundamental fields in the process of recognizing duplicated messages. But you can deselect (disable) the 5 uncritical criteria to reduce the strictness of the search. At the end of a search, you are also offered to export the results into a text file: you can either see the Report (e.g. if the programme finished with errors), or just look though the list of processed messages. 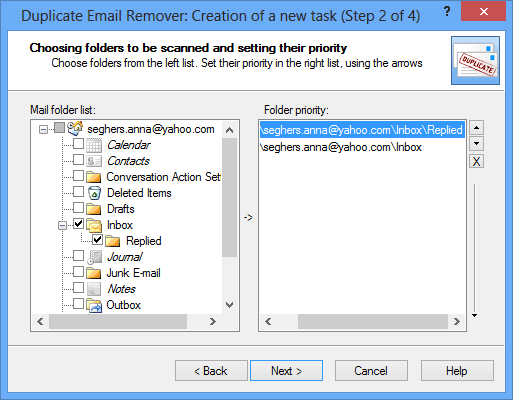 We sincerely hope you find this tool useful, as it can save significant time and let you do more important things. 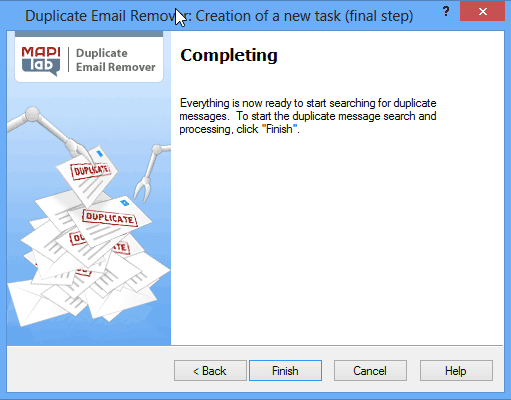 You are always welcome to try processing email duplicates in Outlook with Duplicate Email Remover FREE 30-day trial.